On September 27, 2018, Communities Alliance Against Displacement (CAD) launched the WOMENPOWA initiative aimed at empowering displaced women bounce back from the agony of displacement-induced poverty. Women living in the informal settlements often have small businesses in and around their homes. When the settlements where they live are demolished on the orders of state actors in the name of urban renewal, the women bear a disproportionate burden of the demolitions. They lose their homes, their business and sources of livelihood, pushing them deeper into poverty and want. CAD has been uniting communities often targeted with evictions to explore new ways of resisting and challenging the land-related disputes and urban development policies that trigger displacement. At CAD monthly and general meetings, it was observed that the men dominate the discussions, and take the lead in most of the campaigning activities. Women’s voices were often missing at the table where compensation and resettlement terms are being negotiated with state actors. CAD established that most of women were absent at meetings because they could not afford to attend, pay membership dues and take part in the advocacy initiatives going on in CAD’s member communities across the state. If they had the resources, they would be able to participate more actively in CAD activities and other advocacy interventions designed to secure housing justice for them. It was on this premise that CAD designed the WOMENPOWA program of support to displaced women in their member-communities, providing them with small capital to restart their small businesses destroyed during the demolition of their settlements. The women do not have access to credit because they cannot provide the collateral security demanded by most financial houses. WOMENPOWA provides a revolving fund to the displaced women to enable them generate income and overcome the pangs of poverty. Women targeted by the scheme are those who already have small businesses. With the additional support, the women can boost their small businesses to thrive and perform better. 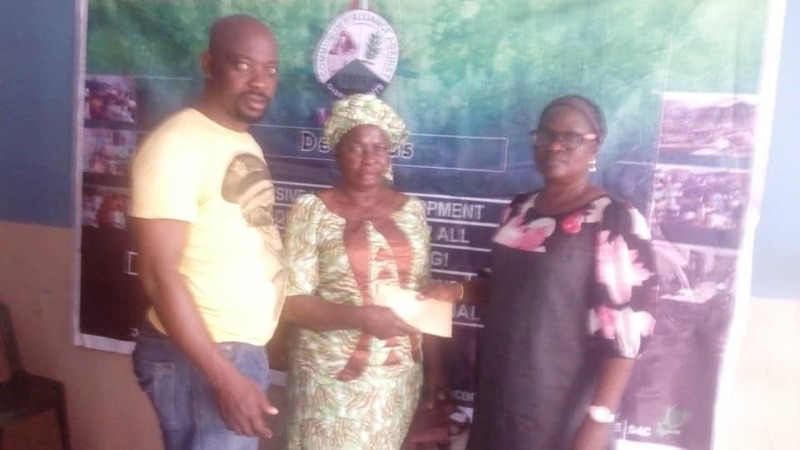 The first set of beneficiaries for CAD’s WOMENPOWA scheme were drawn from 5 member communities of CAD; Otto-Ilogbo, Okobaba, Somolu, Apapa and Badia East Local Government Areas in Lagos State. The five beneficiaries received the sum of Twenty Thousand Naira (N20,000) each. This sum, repayable in six months at zero percent interest, would enable beneficiaries grow their small businesses, afford better stalls and be able to secure accommodation in better buildings. With the women having greater access to financial and economic resources, they would be able to have greater freedom of mobility and play a greater role in both CAD and household decisionmaking. A monitoring Committee is responsible for following up with the women periodically, and ensuring that monthly repayments are made according to schedule. SPACES FOR CHANGE is providing training support to CAD executives and member communities in diverse fields such as leadership, finance management, savings and development of business plans. 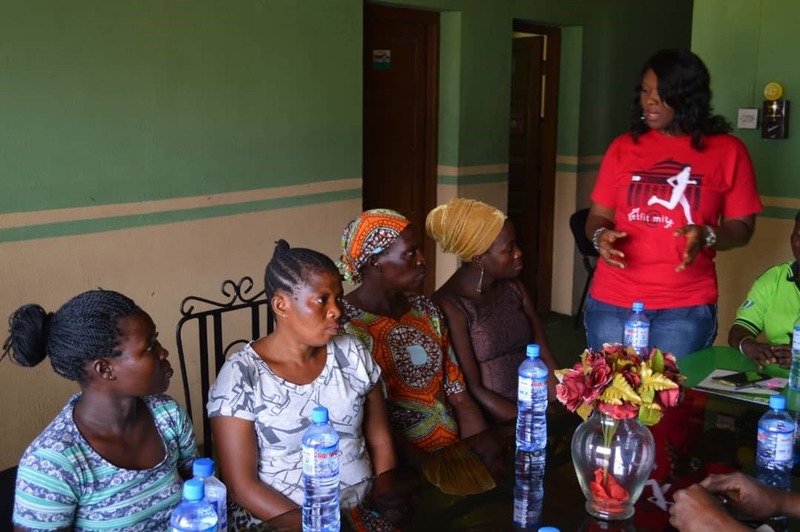 At the launch of the program, SPACES FOR CHANGE;s executive director, Ms. Victoria Ohaeri urged the beneficiaries to make the most of the small loans they have received to improve their economic status. The loans, when repaid, will be used to empower another set of women from CAD member-communities.